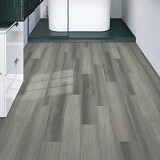 Buy Mohawk SOLIDTECH Luxury Vinyl Plank & Save 30- 60%! 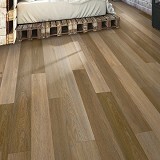 PERFECT FLOORING AND SAVINGS FOR SPACES THAT INSPIRE! 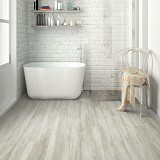 Mohawk SolidTech Luxury Vinyl Plank is engineered to perform in any room, from kitchens to living rooms to mudrooms. 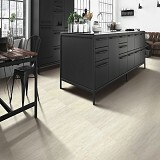 SolidTech Luxury Vinyl Planks look and feel just like real natural hardwood and are 50 percent denser than average composite core flooring so SolidTech luxury vinyl planks will not telegraph visual imperfections of the underlying surface. One of the most impressive aspects of SolidTech’s superior engineering is the ability to be easily installed at any angle with stunning results, all due to Uniclic MultiFit technology. SolidTech planks resist scuffs, scratches, and indentation and keeps its dimensional stability under heat and extreme temperature change. 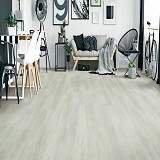 Mohawk Solidtech luxury Vinyl Plank Uniclic’s advanced locking system also creates a seamless lock between each plank that makes SolidTech floors 100% waterproof, odor-free and a breeze to clean—the ultimate flooring solution for active homes with kids and pets. 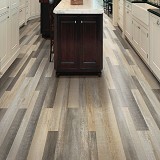 Order Mohawk SOLIDTECH Flooring today at ACWG for 30-60% savings! 100% Backed by Mohawk’s All Pet Protection and Warranty, which covers all pets and all accidents.